Creating a CSV file using Notepad is quit simple. This is because all you need do is write is plain text on a line, then separate each column with a comma and make a new `roll by inserting a line break, that is pressing the enter button on your keyboard. Let consider two example to help you understand it more. Now Save it as example one.csv and open it with a spreadsheet program like Microsoft Excel. You will notice that, where we put the comma sign is separated into columns. While where we insert a line break (also known as paragraph) is inserted into a new row. In this example, let's suppose you want to make the middle column of the second row empty, but the want something to be written in the first and third column but the second column which is in the middle should be empty. Now Save it as example two.csv and open it with a spreadsheet program like Microsoft Excel. You will notice that this time, the second column is empty when you open it with the Spreadsheet program. 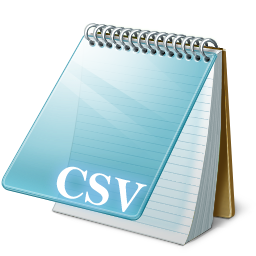 That's how easy it is to create a CSV file using Notepad. Join our newsletter and we will keep you updated on surfs like this.